Check the new Poster and banner for STAR TREK INTO DARKNESS. The ship seems to be over the PACIFIC RIM experiencing the effects of GRAVITY and soon the California coast weather will be CLOUDY WITH A CHANCE OF ENTERPRISE. See what I did there? It's an impressive poster hinting at what is in store for us in the movie. Can't wait! 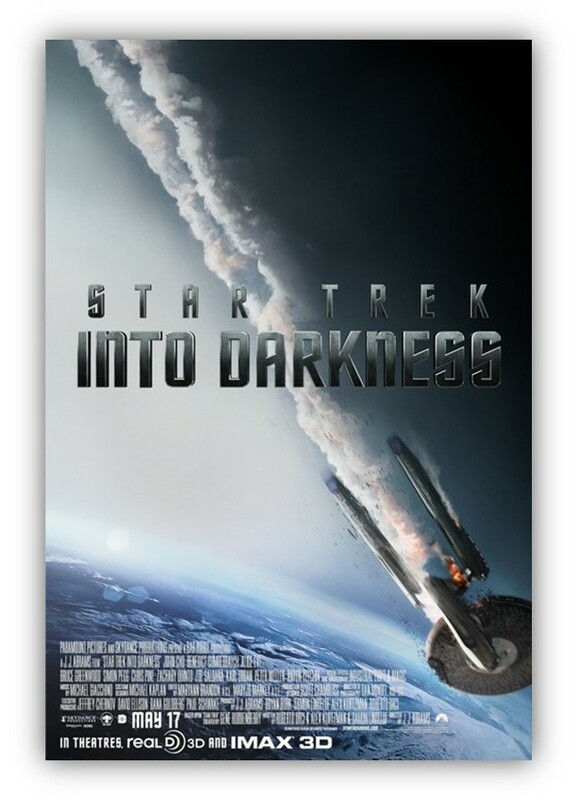 STAR TREK INTO DARKNESS hits theaters on May 17 (May 15 in IMAX).